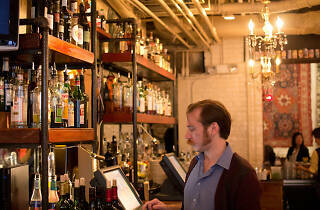 Situated next to the Boston Center for the Arts, The Beehive is a madly buzzing bohemia. Whimsical textiles, wild paintings and other odd objects offset the loft-like restaurant/bar/entertainment venue’s exposed-brick grittiness. The kitchen whips up fun, Mediterranean-tinged nibbles, salads and communal platters to fuel the revelry. 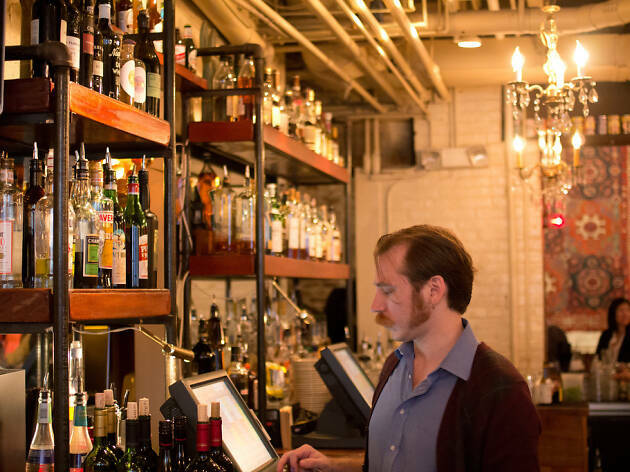 Those who stick to the bar areas enjoy well-made cocktails and selections from solid beer and wine lists.